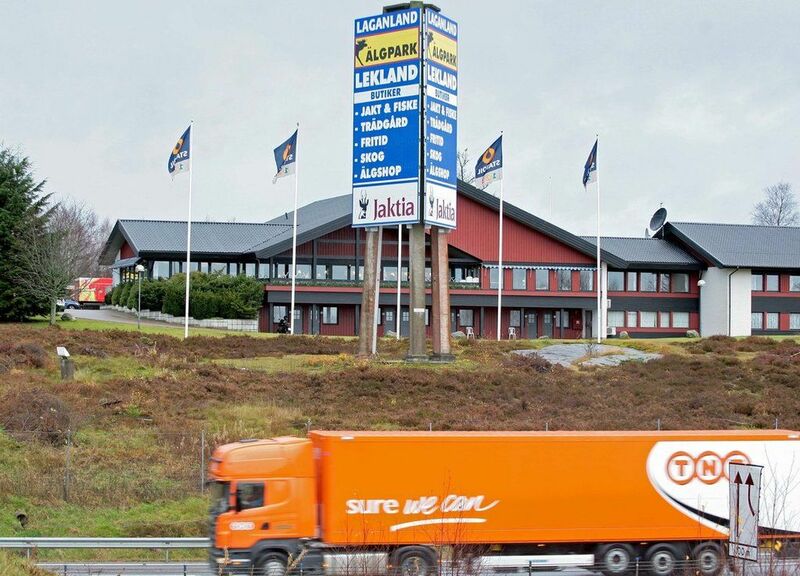 Hotel, Tavern & Restaurant – right on highway E4! Motell Lagan offers good accommodation at reasonable prices whether you are travelling in business or touring the country. And we are exceptionally proud to serve you a home-cooked meal or à la carte from our own kitchen using only the best ingredients. 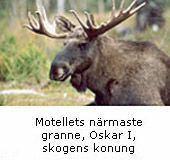 Speciality: Elk stew a la Småland! Motell Lagan is situated at the E4 highway but surrounded by great nature and door-to-door to Elkland – the show park with live elks. Laganland offers great experiences and excellent possibilities for fishing within a range of a couple of kilometres. Motell Lagan has 32 modern rooms and breakfast at reasonable prices. A comfortable lodging with full service directly connected to the hotel. Sauna and solarium. elcome to our tavern with a variety of dishes and always a today’s menu. We also serve vegetarian dishes and a children’s menu at reduced prices. We serve a genuine Swedish menu at your table. Often we find inspiration as well as ingredients from Swedish forests and lakes. Welcome to enjoy! We are fully licensed. Here you will find what you need for your trip or your stay at our place. Fuel, car accessories, magazines, newspapers, sweets and so on. Of course we also sell groceries. A popular service for travellers as well as local residents. Good food, coffee and quick service is our motto. Welcome to book groups in advance! Note! There are many attractions on the premises e.g tame live elks. We provide a large parking area. Motell Lagan arranges conferences. Contact Motell Lagan for reservations or ideas and suggestions for arrangements. Play golf at Lagan’s beautiful 27-hole court and relax at Motell Lagan. Contact Motell Lagan for prices and reservations. Pay & Play. Try out some golf at the new Pay & Play course by Laganland!